The Waimar Bible thusly sets it down (as with the Apostles on Pentacost, Acts 2,4.) The Apostles received the Holy Spirit three times; first through their own healing in faith like each Christian - Matthew 16: 16, 17; see also John 6: 68, 69 and 1 Corinthians 12, 3; second through the gift of the ministry, John 20: 21, 22 and other ordained preachers, see 1 Timothy 4, 14; third through the wondrous gift of the planting of the church, Acts 2. These three things fall away today because the church is planted and the written word is established through many wonderful things. — Also this was not healing (which he already had in Acts 26, 19) but the bestowing of the ministry and the wondrous gifts. Cornelius and his followers also received these wondrous gifts before baptism, see 10, 44 - 48. The Christians of Samaria and the twelve of Ephesus received them after baptism, see 8: 12 - 17 and 19: 1 - 7. 3.) He was granted the forgiveness of his sins through holy baptism, Acts 22, 16 and the seal in Romans 4, 11 or the full knowledge of grace see Colossians 2, 11 - 12; 2 Corinthians 12, 9. From the disposition of this sermon it is not proven that Pastor Grabau has not established the attainment of faith according to the conversion; the word "faith" does not exist in the third part. But his previously at hand faith was fortified. Cramer also says this concerning 3, 18. "Ananias went to (4) authorize Paul and to fortify faith with words and sacraments." Thus St. Paul gained faith in the conversion and Pastor Grabau has also preached, significantly proving that he established the same in the second part. "See Acts 26, 13 - 19." Conclusion: 1)Pastor Grabau has not taught in opposition to the 12th Article of the Augsburg Confession. 2) He did not resort to the false prophets, as Mr. Müller claims. 3) Even Dr. Luther is not against him; the proof: a) his published Marginalia Glossary on Acts 9 and b) when one reads the sermon in the book of sermons to the end. "It's a fine example of Christian penitance...there sits Dr. Luther amid Paul's extreme trepidation and the question "Lord, what do you want? ", Acts 26, 19 and amid the proof of the gaining of his faith. Since Dr. Luther and J. Arndt and B. Herberger prove from the letters to Ananias that here the office of ministry was confirmed, it is also quite proper and it clarifies the sentence in the disposition all the more where it states: "Everything is quite outside the usual ordering, nevertheless it is from the deliberation of God." Thus we find here a marvelous, extraordinary conversion because St. Paul was an apostle of the Lord, who must have received unmediated ordination and enlightenment according to Galatians 1, 12 and yet at the same time this was an ordinary conversion based on the 8th Article of the Augsburg Confession, which teaches that no one may claim "special treatment" from God. Therefore this disposition does not contain false teaching about the conversion. But Pastor von Rohr has taught false doctrine concerning St. Paul's conversion because he teaches in Informatorium XIV Number 6, page 45, column 3, line 15 from the top that St. Paul , "upon whom the Holy Spirit actuated faith" may have first attained it "through the word of the gospel from the mouth of Ananias." Thus he also teaches that St. Paul was first converted through the words from Ananias' mouth. His error rests in that 1.) he equates being filled with the Holy Spirit, Acts 9, 17 and the mere gift of healing; either he doesn't know the difference between the various gifts or he has not thought about it; 2.) he treads heavily upon Dr. Luther's words, which for that very reason are placed within quotation marks, column 2: "thus Paul comes to a recognition of Christ and the words through Ananias." Here he has succumbed to Habel's error, which could not distinguish between Luther's writings and Luther's teachings (7th Synodal Letter, page ). Then concerning Galatians 1, 11 - 12 Dr. Luther writes in the short exposition: "rather I have perceived it [the gospel] through a revelation of Jesus Christ and have learned on the way to Damascas, that it was indeed the voice of Christ, etc." And in the long exposition of Galatians 1,1: "Therefore I have been called and dispatched to my office neither by a man nor by men but rather unmediatedly by Jesus Christ Himself. And this, my calling, is actuated in all things, just as with the other apostles in their calling, and I freely admit that I am also an apostle...Therefore one should not consider the calling a strange thing." Concerning Verse 11, 12. "St. Paul received his evangelical calling as he was traveling to Damascas when Christ appeared to him and spoke with him. Previously he had spoken with Him in the Temple at Jerusalem. According to the history of St. Luke he received the gospel from Him while on the road. Acts 9. Stand up (Christ said to him) and go into the city; there you will be told what you should do. He did not tell him to go into the city so he could learn the gospel from Ananias; rather Ananias should baptise him, lay hands upon him, assign him his ministry, introduce and present him to the congregation of Christ. But he did not learn the gospel from him since he had already received it (as he proclaimed here) on the way through the revelation of Jesus Christ. Ananias himself acknowledged it with these words: Saul, loving brother. The Lord, who appeared to you along the way, has sent you to me so that you may once more receive his countenance, etc. Therefore he did not receive his doctrine from Ananias but rather he had been called, enlightened and taught on the way by Christ; he was primarily sent to Ananias for the purpose of bearing witness to man that he was called by God and sent to preach the gospel." Rohr's teaching on St. Paul's conversion is contrary to the teaching of Dr. Luther and Dr. Cramer, for both teach based on the Word of God that St. Paul had received teaching, enlightenment and faith before he came to Ananias. Non ergo mittutur, ut vocetur, sed sanetur [Therefore do not discharge or invoke, rather cure] is stated in Latin in Luther's Marginalia Glossary from Cramer's Bible in Acts 9, 12. — If Rohr's doctrine were true, where would that put St. Paul's high praise of his unmediatedly ordained apostleship and his teachings. Romans 1,2; see also 2, 16; 11,13; 15: 15 - 20; 1 Corinthians 11,12; see also 15, 8 - 10; 2 Corinthians 11,5; see also 12, 11; Galatians 1: 8, 9, 12 and forward; see also 2, 1 - 9, etc. Is the proclamation of his unmediated ordination false? Then one might also raise doubts about his teachings on the righteousness of faith. Romans 11: 25, 26; 2 Peter 3, 16. St. Paul's teachings stand for the righteousness of faith firmly, like the fortress of God (Psalms 36, 7) and firmly, like the great depths by which the justification of his unmediated ordination as apostle of the Lord in 2 Corinthians 11, 5 to console us poor pagans in Romans 11, 13 and 15, 16. "Because he had neither received nor learned his gospel from men rather through the revelation of Jesus Christ, Galatians 1: 1, 12. It is also certain that Christ Himself had enlightened, converted and healed him through faith in His Name, see Acts 26, 18; see also 4: 5, 15, 17. (The Lord God has sent me, Jesus, who appeared to you along the way) (see 3: 6, 16). The foolishness of this man becomes apparent to anyone (2 Timothy 3, 9) because in hatred he will turn the simple Christian from the old faith, Acts 13, 8. He not only opposes his old friend and teacher (Informatorium XIV 6, page 46, column 10), he works against Dr. Luther and the entire Lutheran Church (Schmalkaldic Article Appendix 5, subsection 342.) Indeed he betrays Jesus Himself and the entire church from the wilderness, which sighs and cries: May the Lord rebuke you; may you be rebuked by the Lord, who chose and appointed Paul to the ministry, to the apostleship and to the teaching of the pagans, for He Himself chose to raise a spiritual Jerusalem from them. (Zechariah 3,2; Acts 9, 15; 1 Timothy 2,7; 2 Timothy 1, 11; Romans 11, 13; Galatians 4, 26 - 28; John 10, 16.) The Lord grant him the grace to repent; may He preserve his servant, this "imprisoned Johannes" from slander, that he may not become a reed [see Translator's Note] in the wind, swaying this way and that, Matthew 11. Thus the wondrous God, who transformed the wolf Saul into the lamb Paul, may also turn a wooden reed into a golden reed, if he finds a righteous and unresisting human heart (Apocalypse 21, 15). This is a heartfelt wish. Translator's Note - there's a play on words here. The German word for reed is "Rohr". Thus the reeds swaying in the wind might intentionally have been a statement that von Rohr also sways in the wind. Page 5, line 16 from the top, column 2: cried instead of wrote. 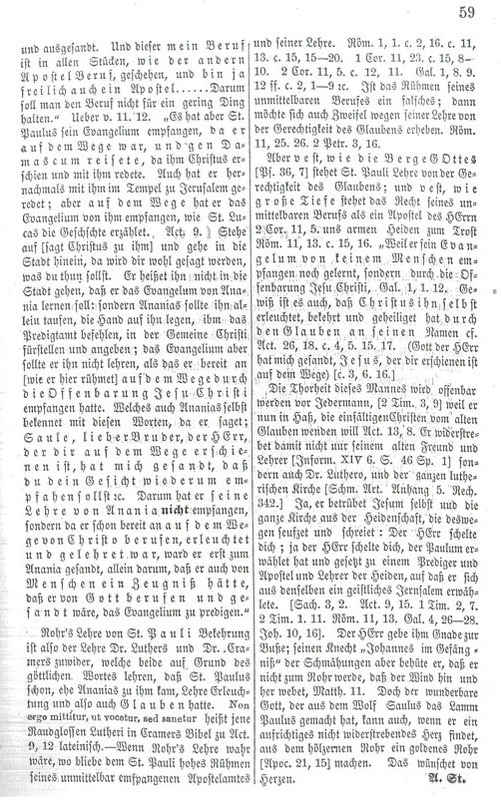 Page 9, line 19 from the top, column 1: after "to maintain the semblance of peace" insert "which on April 15th was dreadfully disrupted by the Hochstetter gang during the church service." Page 14, line 20 from the top, column 1: begangenen instead of begangene. Page 15, line 27 from the top, column 1: Pamphlet instead of Pemphlet. 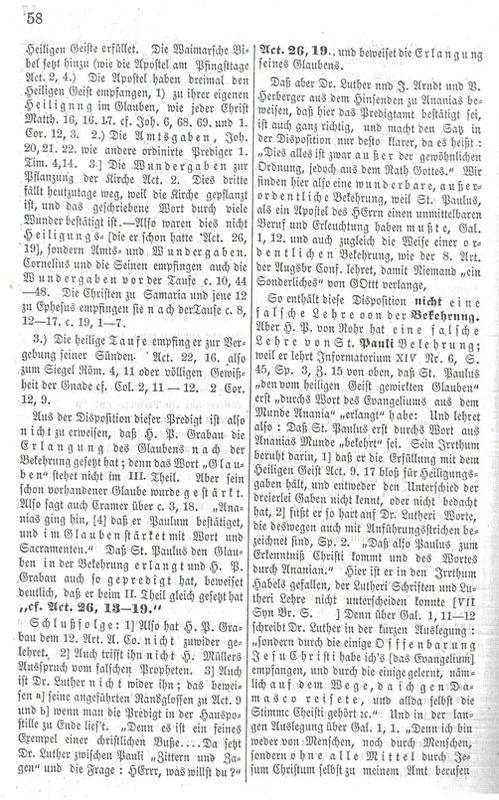 Page 16, line 3 in the first Comment, column 1: haben instead of hube; dazu instead of duzu. Page 19, line 18 from top; column 1: Anklage instead of Auklage. 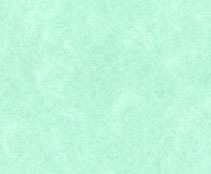 Page 19, line 28 from the top, column 2: nach instead of uach. Page 21, line 6 from the bottom, column 2 (Comment): sonst instead of sau. Page 22, line 24 from the top, column 1: setzen [to place] instead of sitzen [to sit]. Page 22, line 7 from the top, column 2: before noon instead of afternoon. Page 28, line 9 from the bottom in the Comment: Entfernung [dismissal] instead of Entreuung [no meaning]. Page 29, line 9 from the top, column 2: seines [of his] instead of seinen [his]. Page 43, line 19 from the bottom, column 2: unbegreiflich instead of nnbegreiflich. Page 45, line 5 from the top, column 2: genannt [named] instead of gemeint [meant]. Page 45, line 12 from the top, column 2: Predigen [sermon] instead of Prediger [preacher]. 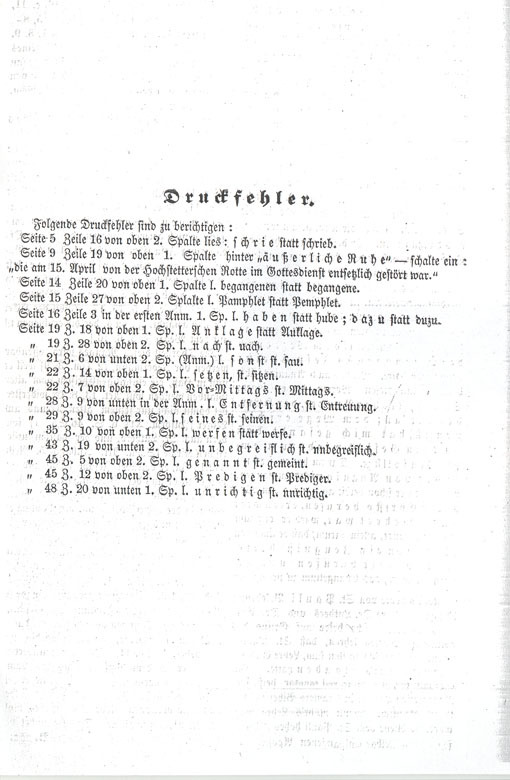 Page 48, line 20 from the bottom, column 1: unrichtig instead of nnrichtig. This is the end of this text. Completed July 10, 2004.